There is a classic quilt pattern called a New York Beauty. This quilt is a modern twist of that classic design. 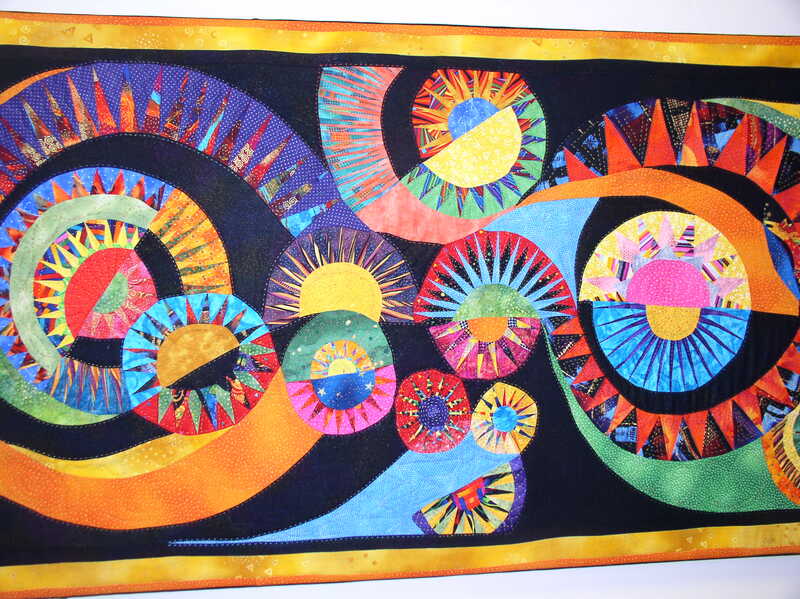 I had a lot of fun creating the shifting curves and bold colors and playing with such a large variety of prints. 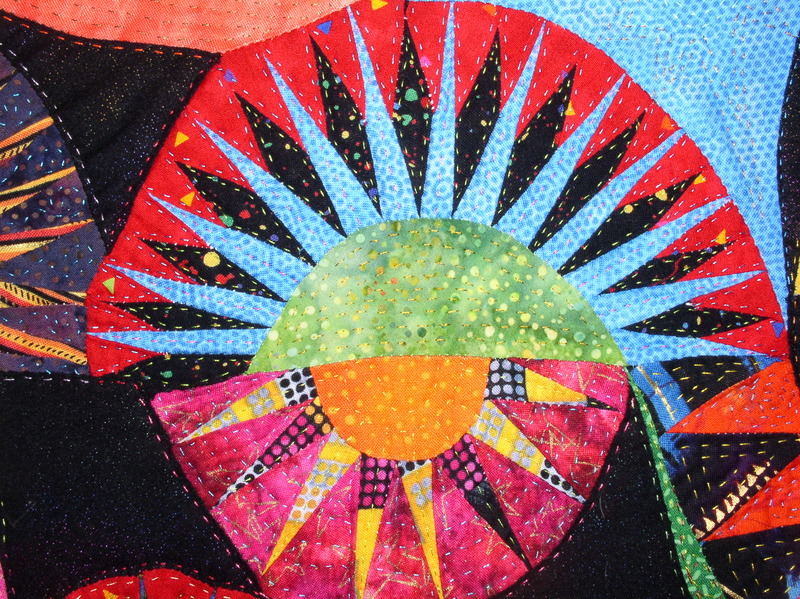 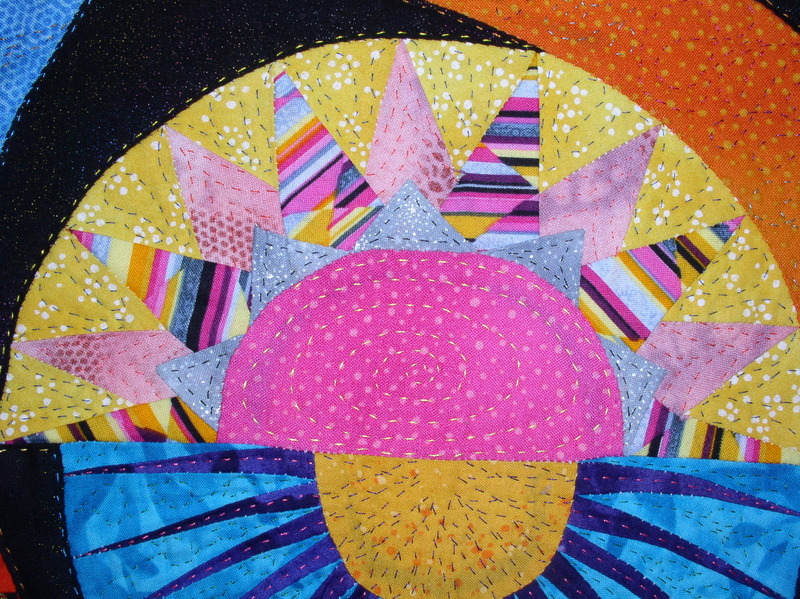 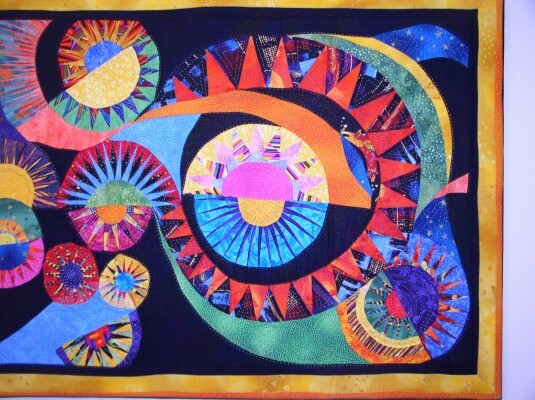 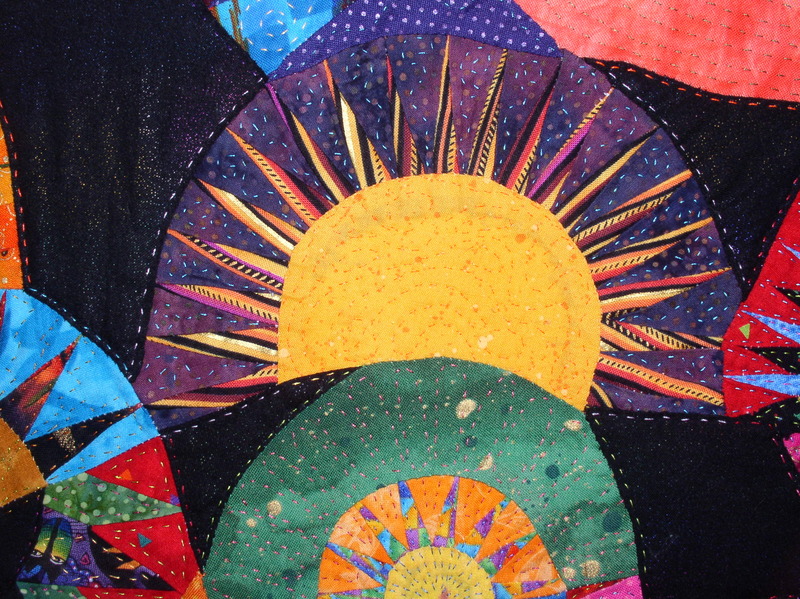 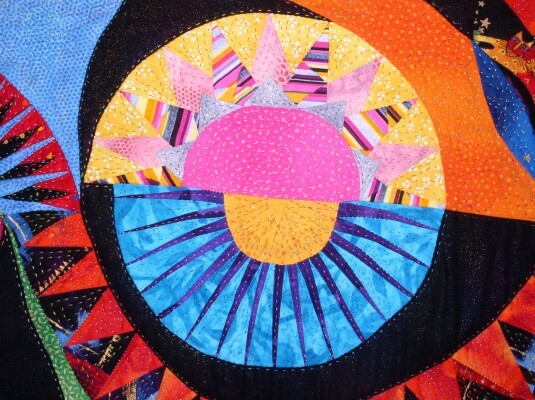 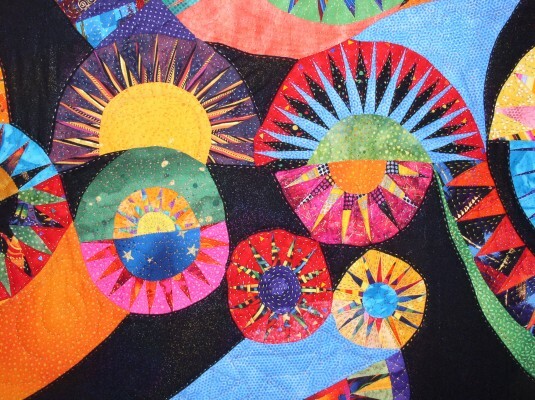 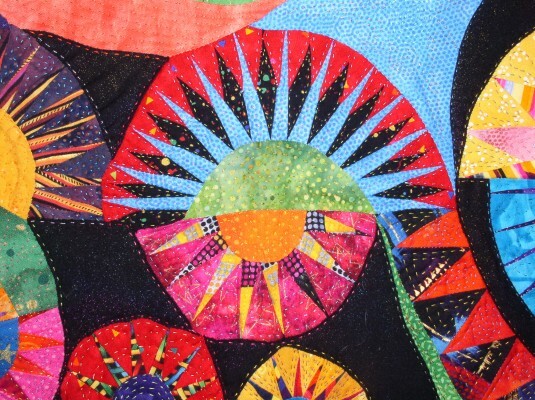 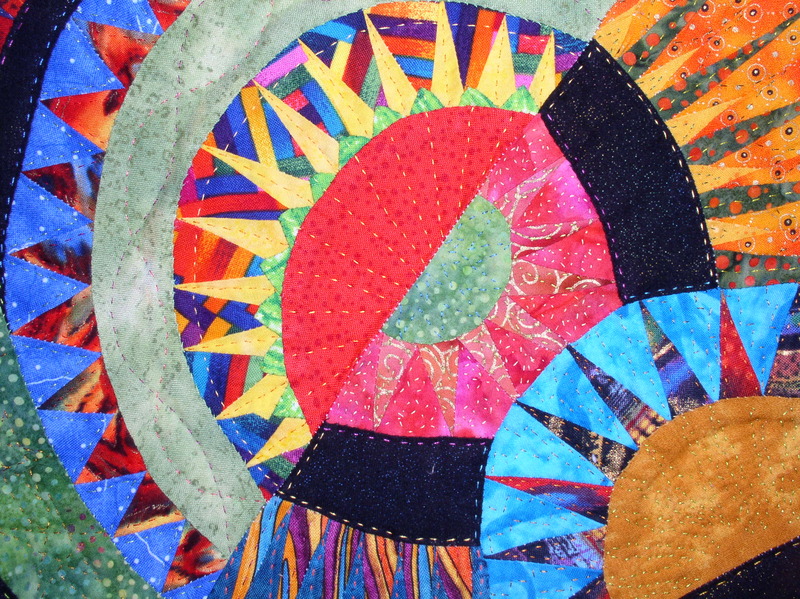 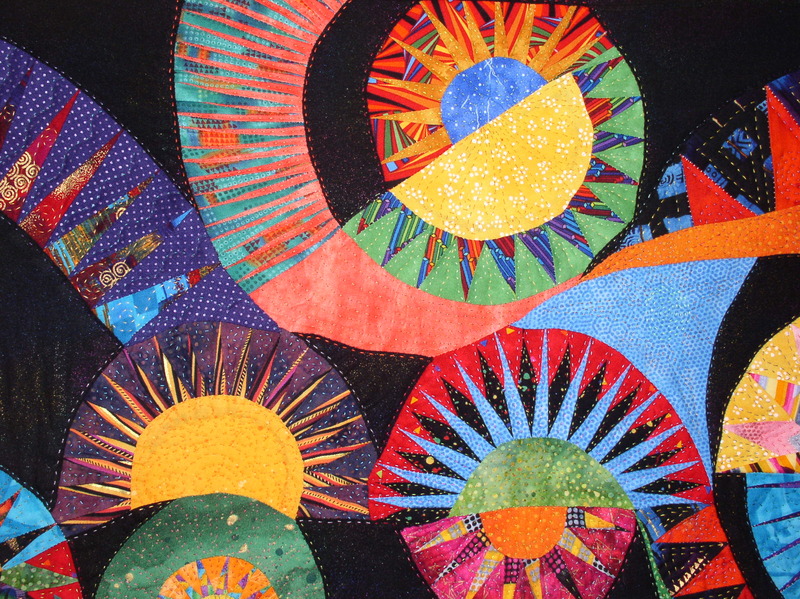 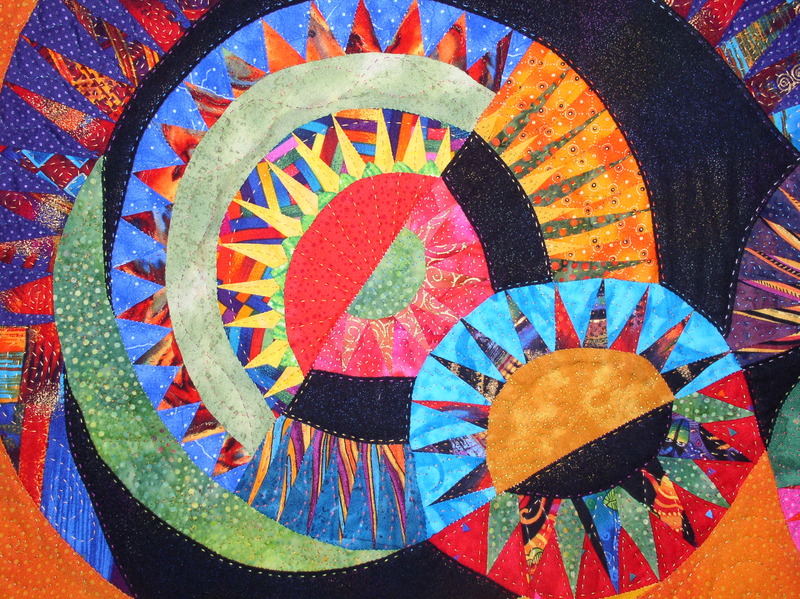 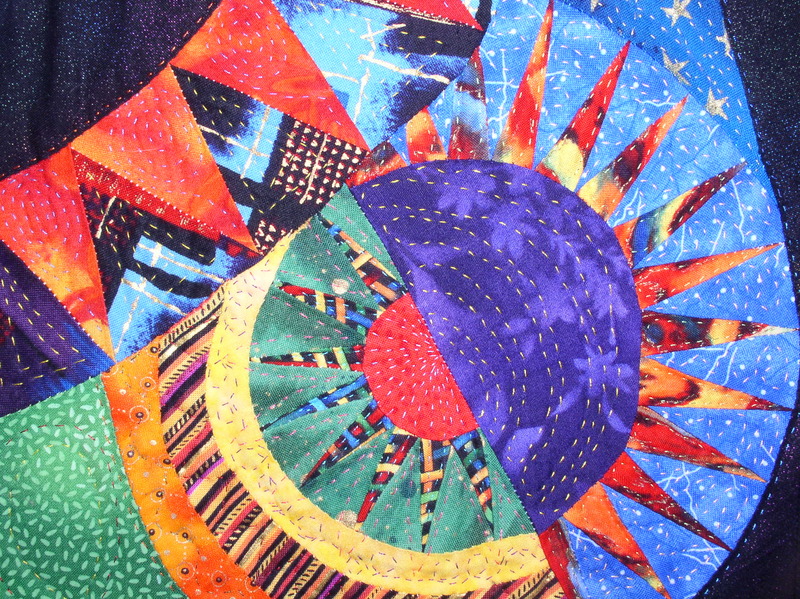 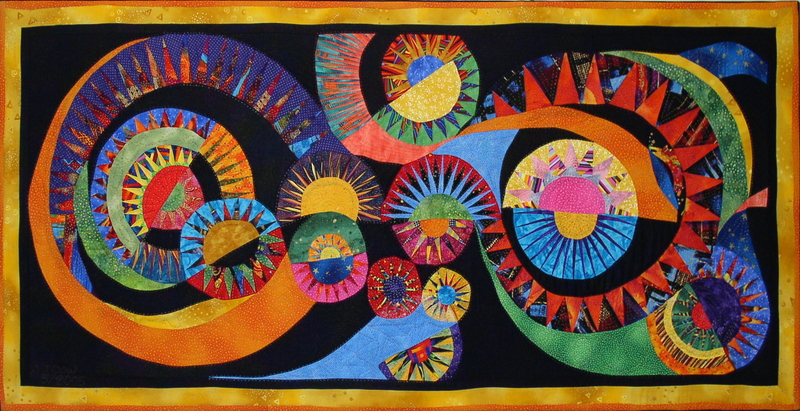 It was made with both paper piecing and hand piecing to construct the quilt and multiple colors of Sulky threads were used to hand quilt each section with designs to compliment the fabric and flowing forms. 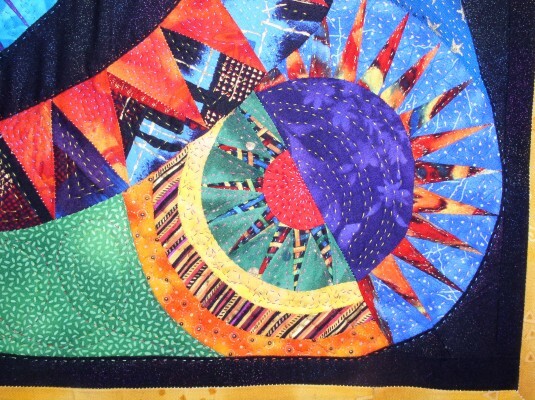 The overall dimensions are 49″ wide by 24″ tall and it is stretched on a wooden frame with metal plates to reinforce the corners. 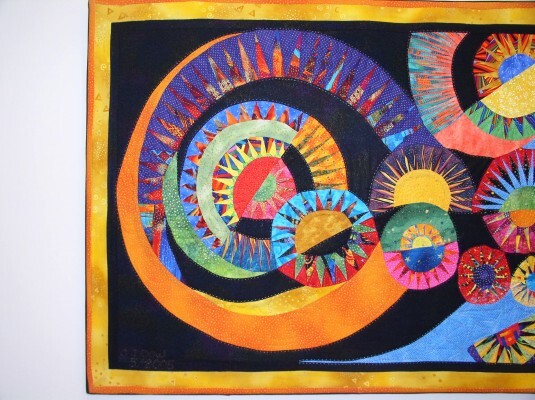 The interesting feature of this piece is there is no top, bottom or sides so it can be hung in any direction. This quilt was purchased in 2006.